With nearly 40 years of experience in the field, Ms. Watson has worked for St. Mary’s Medical Center since she started in the industry in 1980, and her value and experience have aided her in becoming a leader at the institution. She started as a staff nurse, and she has worked as a nurse in the post anesthesia care unit/outpatient department and the radiology department, and she has served as interim director of organizational development and learning and as the coordinator of the American Heart Association Life Support Courses. In addition to her primary roles, she is a training center coordinator for the American Heart Association. In 1979, Ms. Watson received a nursing diploma from St. Mary’s Hospital School of Nursing, earning an RN designation. Valuing her education, she returned to her studies to receive a BSN from West Virginia University in 1993, an MS in nursing from Walden University in 2008, and a DNP from Walden University in 2014. She became certified in CCRN in 1990 and CPAN in 1991. As an advocate for health, Ms. Watson published the piece, “The role of a Multimodal Educational Strategy Healthcare Workers’ Hand Washing,” for the American Journal of Infection Control in 2015. 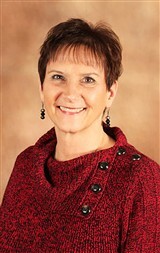 She has also maintained affiliation with a variety of professional organizations, including Sigma Theta Tau International Honor Society of Nursing, the American Association of Critical Care Nurses, the American Heart Association, the Post Anesthesia Society of Nursing, and the West Virginia Voice of Nursing Leadership. She is also active in the community as part of the Local Emergency Planning Committee, the Lawrence County Emergency Planning Committee, and she has served on homeland security and emergency cardiovascular care committees. Ms. Watson credits much of her success to the great mentors she has had throughout her career. As a respected leader in the industry, she is now in the mentor position and finds it very rewarding to have her former pupils come back and tell her about the role she has had in their lives. Ms. Watson knew at an early age she wanted to be a nurse, and because of that early passion and the quality education she has received, she has gone on to help many patients.